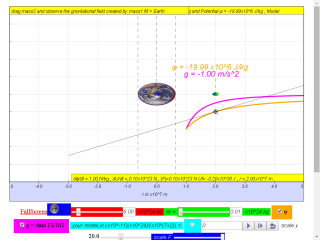 7.3.8.4.1 Values for the gravitational potential due to the Earth are given in the table below. 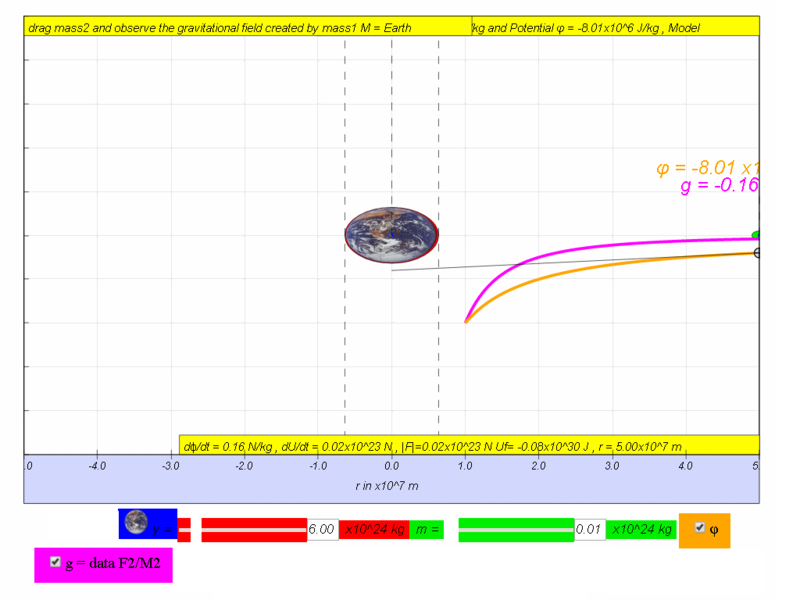 (i) given that radius of Earth = 6370 km, fill in the missing values in the column of Distance from Earth’s surface / m.
(iii) Hence or otherwise, calculate the change in potential energy if the object-satellite has a mass 0.01x1024 kg. (iv) Determine the potential energy lost by object-satellite of 0.07x1024 kg from a height of 13 630 000 to the Earth's surface. v) by means of using the simulation, move the mass and record down and fill in the last 2 missing columns for Gravitational Field Strength and rate of change of potential with distance. vi) Hence, suggest a relationship between g, ϕ and r.